So, it’s come to this? 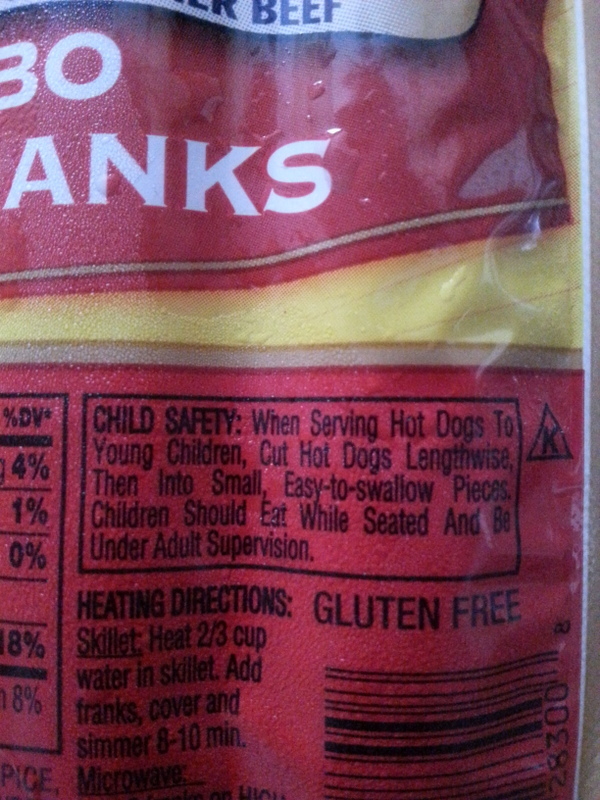 Safety warnings on hot dogs? Child safety warning on a packages of Hebrew National Hot Dogs. This entry was posted in food, grilling, Uncategorized and tagged food, grilling by Judy Crankshaw. Bookmark the permalink. I’m with you Judy. Nuts!! Judy, you might be surprised how many children have died or been seriously injured while choking on hotdogs.� They are the perfect size and shape for blocking the windpipe.� Now, should parents be smart enough to know this without the warning on the package?� Probably, but they aren’t. I understand that…but a warning label on food? That’s nuts. Your “sigh” says it all. Unbelievable.